Legendary for their bloodlust, sorcery, and fierce, dark beauty, the Fey have swept across three continents and never face defeat. 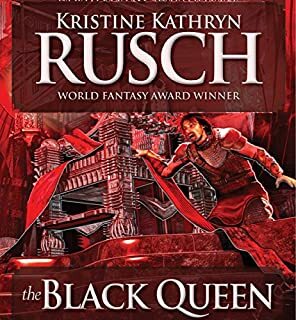 But now, in defiance of their Black King, the warrior-prince Rugar and his fearless daughter, Jewel, have marshaled an invasion farce to meet its ultimate challenge: Blue Isle, glistening beyond impregnable rocks and raging waters. A people of simplicity and faith, untainted by intrigue, enchantment, or war, the Blue Islanders have never before been invaded. But their young prince, Nicholas, dreams of battle and will rally his countrymen against the onslaught of the Fey, even as the Islanders discover a deadly, undreamed-of power of their own. So begins a conflict that must ultimately destroy one race or the other - or both. 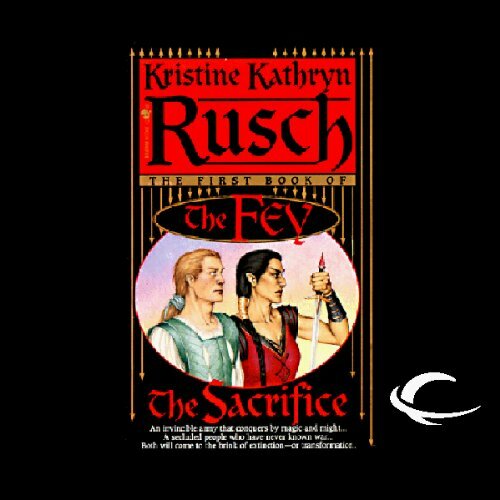 ©1995 Kristine Kathryn Rusch (P)2010 Audible, Inc. I tried to read this book in paper a few years ago but didn't get very far. But when Audible offered the audio version, I thought I'd try again. I like it better now, thanks in large part to Mr. DeSantos' EXCELLENT narration. I have never been interested in fantasy books, and have never read any. 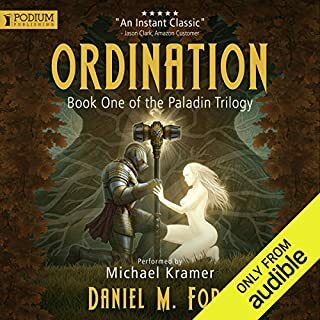 Then when audible offered this book for free for a week, I figured I would try it. At the beginning of the book, the narration was so good that it gave me the patience to sit and listen. Then as the story started to unfold I found it so interesting that I had a hard time turning it off. At times I was sitting at the edge of my seat. The writing was so good, that I was able to visualize everything. Now I will give the second book of this series a try. I love finding new and interesting books to listen to. Thank you audible. At first I found this book so strange that I had a hard time getting into it, and even trying to figure out what it's all about. The writer has an interesting way of presenting the story by showing both sides of a conflict (war) from the perspective of all the characters (3rd person omniscient), so that the reader begans to care for and appreciate both sides of the conflict. Finally, you get so caught up in the characters that you're definitely guessing as to what they could possibly come up with next and it's difficult to take sides.... 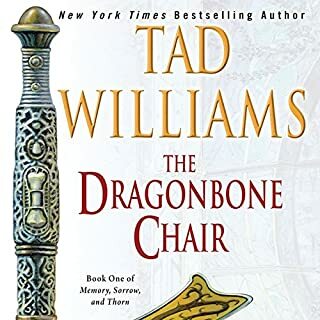 It wasn't so good that I want to immediately purchase the next book and start reading it today, but,I will, eventually, get around to reading the rest of the series. I loved the story as well as the narrator! I have seen reviews from 1 to 4-5 on the first episode of this series, The Sacrifice. First of all you have to be a sci-fi fantasy person to really appreciate this type of book. I personally enjoyed The Sacrifice and just downloaded the second book in the series. Most series like this in the past have not been available traditionally from places like Audible. Authors of this genre have been available through podcast sites, their own websites or self published. Believe me there are some great authors of this genre out there that do not have the ability to get on Audible. 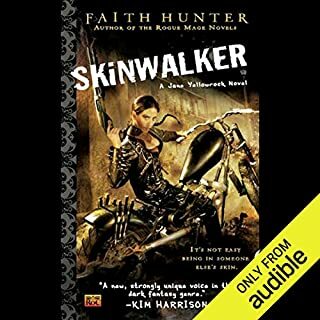 I think that by Audible giving away the first episode was brilliant. I never heard of this author until now. Result is now I will download all 5 episodes. 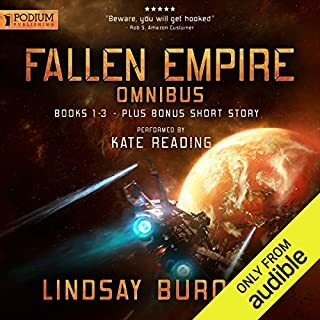 I hope Audible will allow more authors of this type to get their books on this site for exposure. Too bad the people who left the bad reviews. They downloaded the book because it was free, it was not the genre the normally read and therefore the bad reviews. For readers who like this genre you will be happy and satisfied. Great story, can't wait to see where it goes! I don't think I would have found this book so soon if not for the free offer (genius, Audible! ), and I would have missed out on a very original and entertaining 'read.' I don't know what the next installment might bring, but the author and the reader both did a magnificent job on this one. I highly recommend it. Bravo! Hard to start at first...then grows on you. It took me a while to start this series. I had to replay the first 30 minutes several times, because in my opinion, there was a lot of stuff going on and split stories that I couldn't grasp right away. I still don't remember the first part of the book, the character's names were sort of similar. Rugar & Rhokin when you are trying to figure out a story that's being told is a bit confusing (maybe reading it is different), but once I was past that and got involved in the story, it is awesome!! Love it and am on my 3rd book and have the remaining books in my queue which I'm about to purchase. It took several Chapters for this book to capture my attention. I would say four hours of listening at least, before I started enjoying it. The character development is slow but does eventually get there for some of the characters. I did really enjoy the book once I was finished with the first part. 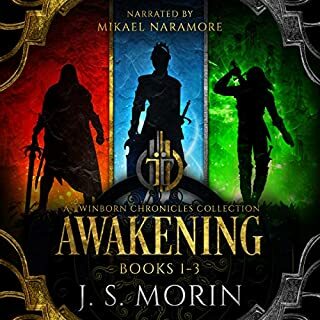 By the end of the third part, I found myself wanting to listen to the next book in the series. It does eventually get interesting if you can just hold on through the slow beginning. Having major trouble with this book. The narrator is slow. My brother commented to me that he takes a beat and a half too long between sentences, and now that I've noticed it, it drives me crazy. The character voices are distinct, but if you believe the narrator, everyone in the book WHINES constantly. Lines that are delivered in anger by strong characters come off as nagging, whimpering, and weak. Secondly, the book isn't that well written. I spend a fair portion of my time thinking about all the better ways you could have said this or that. Why take eight words to say something when two would suffice? And then you get to a point where you realize you've heard the exact same conversation between the exact same characters two or three times already. Yes, we get it, now move on! And then, there are the people. I find the Fey completely unlikable. We are supposedly presented with a race of warriors but they are the biggest group of cowards I've ever encountered in a work of fantasy. They are constantly going on about how scared they are. Don't these people have any sense of honor or bravery? They've supposedly conquered half the world but they fight like bullies and they die like cowards. I wish that the author had taken some lessons from the Klingons about how a warlike people should behave. Despite all this, I am compelled to finish. I have three hours left but gods help me, if we don't see the resolution of Jewel's visions by the end, I am NOT listening to the next book.